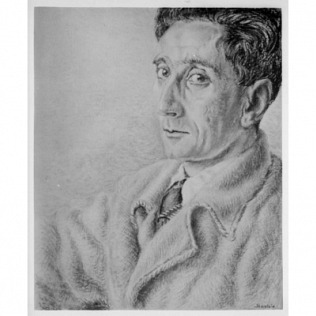 On the occasion of the Holocaust Memorial Day, at the Uffizi Gallery there will be a new exhibition: Giorgio Castelfranco (1896-1978): Scholar, Patron, Defender of Art. Giorgio Castelfranco, during the Thirties of the Twentieth century, was the director of the Palazzo Pitti Museums. His family was Jewish, and he was a victim of racial laws in 1938. When Hitler visited Florence, Castelfranco was transferred to Modena, and a year later fired. He had to sell his art collection to survive. The collection included many works and drawings by Giorgio De Chirico, friend and protege of Castelfranco. Giorgio Castelfranco was a connoisseur and patron of contemporary art. The exhibition aims to highlight the relationship between Castelfranco and his contemporary artists. Three works by De Chirico will be on display - on loan from Casa Siviero - Alexandros, Portrait of Elidee andPortrait of Matilde Forti, who was Castelfranco\'s wife. The exhibition will be open until February 26, 2017.